`Krishnarjuna Yuddham` is an average Commercial Entertainer. Krishna (Nani) from Chittoor (AP, India) falls in love with Riya (Ruksar). And somewhere in Prague, Krishna’s look-alike, Arjun (Nani) is trying to win-over Subba Lakshmi (Anupama). Riya after accepting Krishna`s love goes missing in Hyderabad. Subba Lakshmi who leaves to India to avoid Arjun, also goes missing. Rest is about how Krishna and Arjun unite to find their lovers. Nani gels well in both the roles and hold the film together. Ruksar and Anupama get meaty roles in the 1st half and are fine. `KAY` is yet another Romantic Action Entertainer from Nani after tasting Success with `Nenu Local` and `MCA`. The film`s 1st half is entertaining and the 2nd half could have been better. 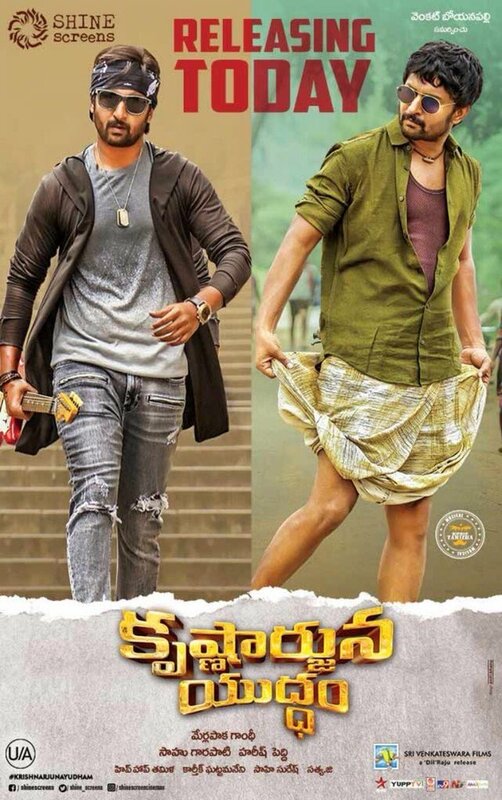 Nani`s Performance and Characterizations make this film probably worth a try for most audience. On the flip side, a well knit screen-play in the 2nd half could have made this more than just an average film.